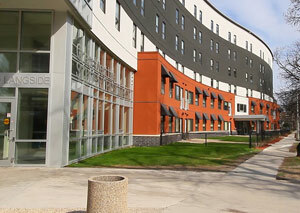 Located in urban Winnipeg, the University is close to a wide variety of hotels. As many as 200 guests can be housed in our on-campus residences during the months of May to August. The residencies are situated in a beautiful natural setting or urban Winnipeg, a short walk from all amenities. Front-desk and security staff are available on a 24-hour basis.